Many products come from ground-up pallets that come from trees that have been treated in all different ways – both when alive and subsequently in sawmills – and indeed sprayed with paints of different kinds. If used as flight flooring and cage floors, it is arguably a source of trouble for our birds. 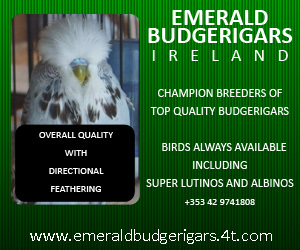 In recent times I was helped by Les Martin – whose stud has proven itself to be one of the best in the UK – who recently won Best In Show at the London & Southern Counties Budgerigar Society Show. At the time, he sent me several bags of super sawdust which I needed for the nest boxes and I found it perfect. That got my thoughts swinging towards the flights and cage floors. Was it suitable for these areas and how safe was it? After contacting the suppliers, Lillico, I found that they supply a product called “Gold Chips” – where the sawdust is ultra clean and has been heat treated to remove contaminants. Added to that, it is great for us fanciers because it does not scatter as the birds fly – and furthermore, goes further than many other baled varieties and is far easier to lift each bag. The upshot of this, is that I now have, as has Les Martin, only “Gold Chips” sawdust in use permanently. From experience, no deaths at all from suspicious other forms of sawdust has occurred anywhere. 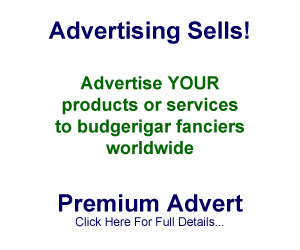 Lillico has now taken up advertisement space on Budgerigar.co.uk’s “Gold Pages”, and based upon my own personal experience, I can happily recommend the whole hobby to order this product, if they want to make certain there cannot be any deaths from this sawdust. All details for contacting Lillico are on their “clickable” advertisement on this website.